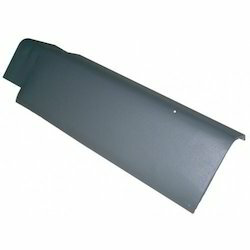 Our product range includes a wide range of frp natural light sheet and flashing ridges. Owing to a long-term destination for our business, we are engaged in offering a wide gamut of FRP Natural Light Sheet. 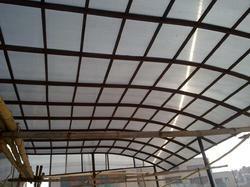 Available in variegated sizes and thickness, provided sheet is used in various buildings such as warehouses, construction industries and another such place to provide equal distribution of light to the workers. Designed under the guidance of our adept professionals, offered sheet is manufactured using supreme quality FRP and modern technology. Being a highly effective, lean and fast-moving organization, we are highly instrumental in providing an extensive array of Flashing Ridges. Widely acclaimed for their features like effectiveness and weather resistance, offered ridges are designed using optimum quality raw materials and sophisticated technology. Used in the various building like schools and offices, to give protection against rain, these ridges are tested by our quality examiners on different parameters.